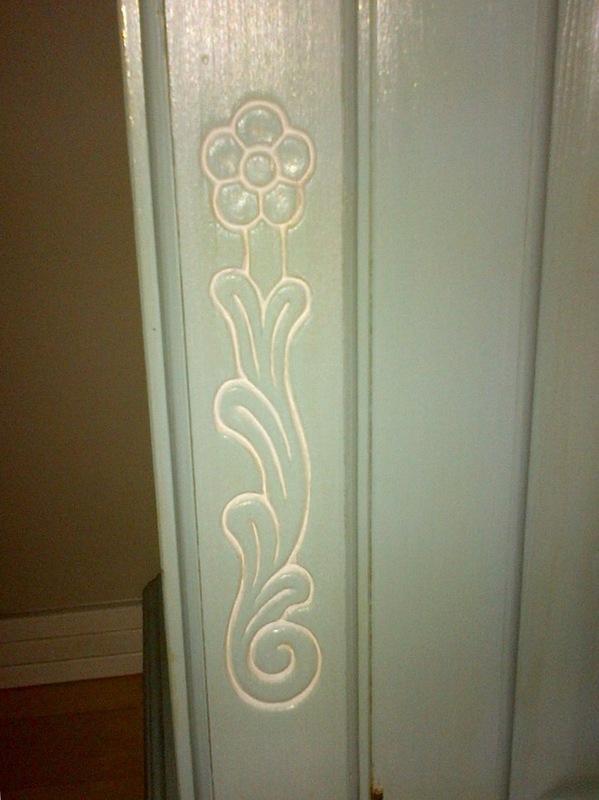 The decorative flowers on the cabinet were difficult to see before it was painted. 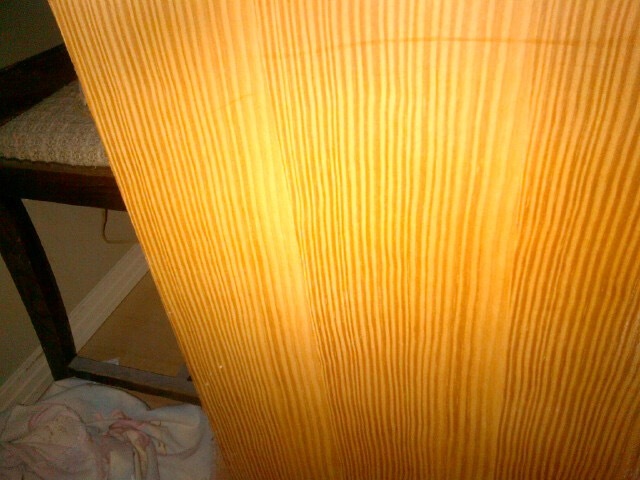 A German immigrant had it imported from their homeland, which is probably why I had never seen this type of wood before. 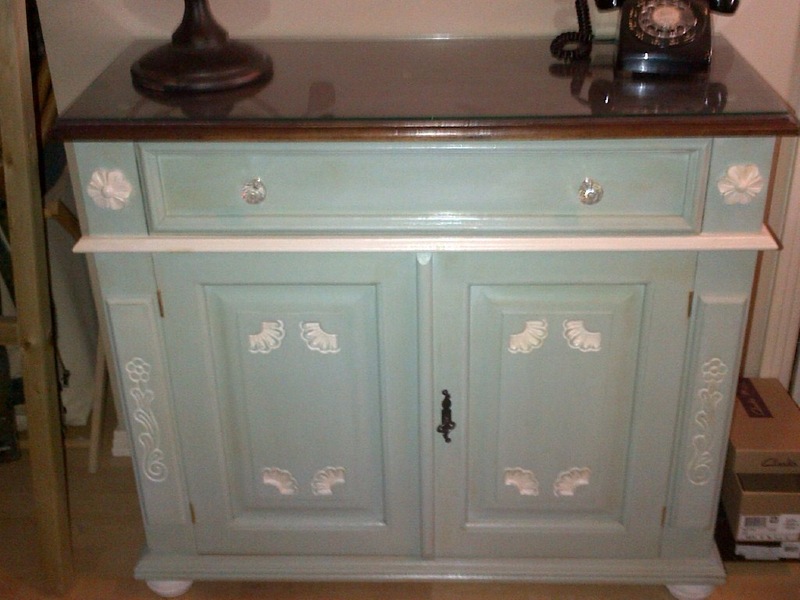 It was a light coloured wood (you can see it inside the cabinet) but not overly attractive. 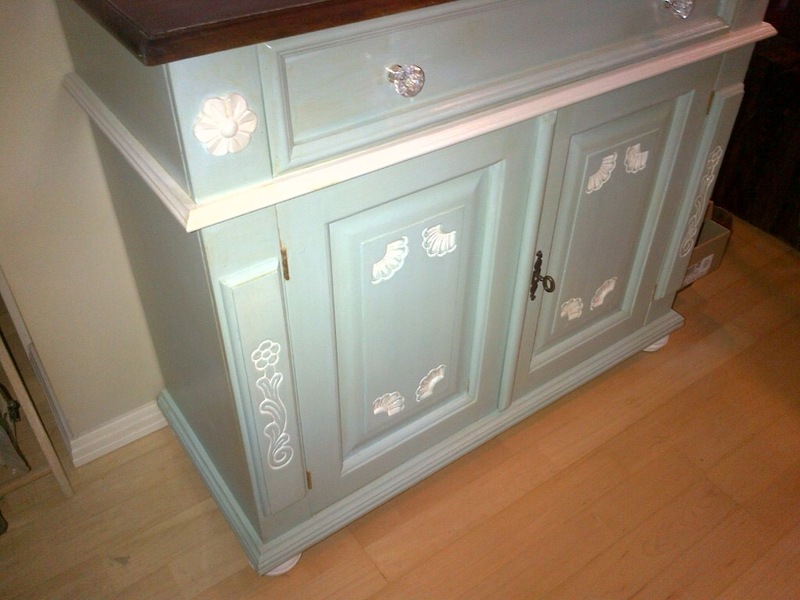 It was painted in Serenity Blue and Linen White Rust-Oleum Chalked Paint, highlighting the flowers. 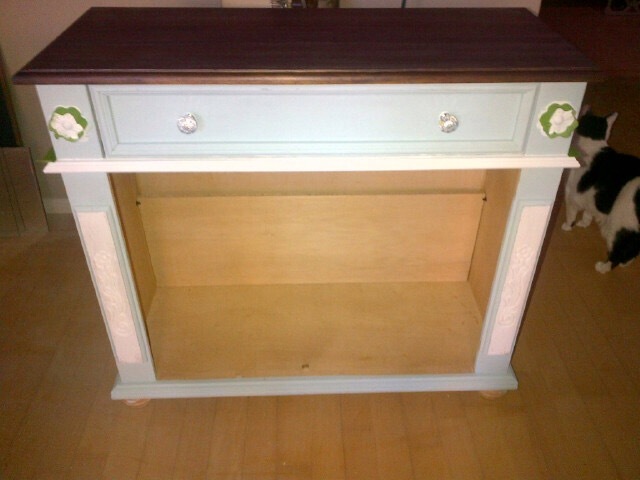 I tried staining the top but the woodgrain was not strong enough to show through. 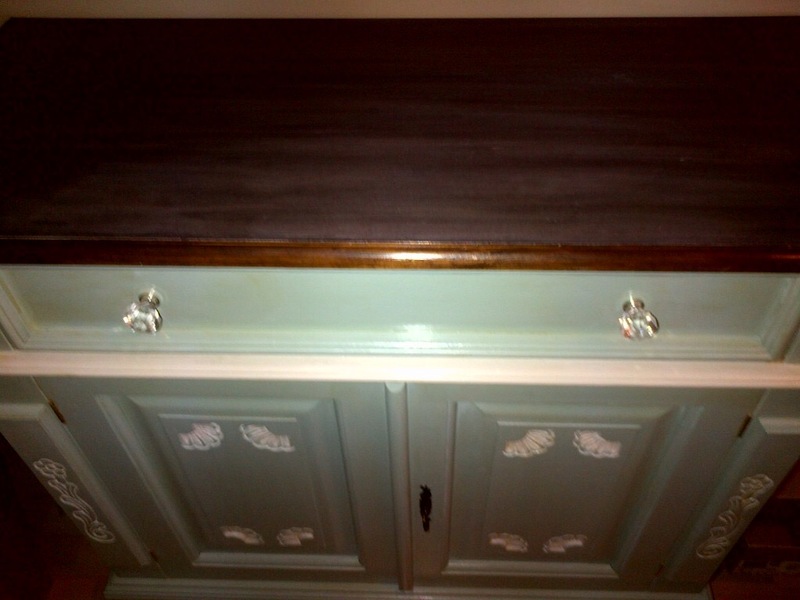 I ended up painting it in white chalk paint, left it to dry several hours and then stained it with Espresso to give it a faux stained look. SOLD, to a nice person. 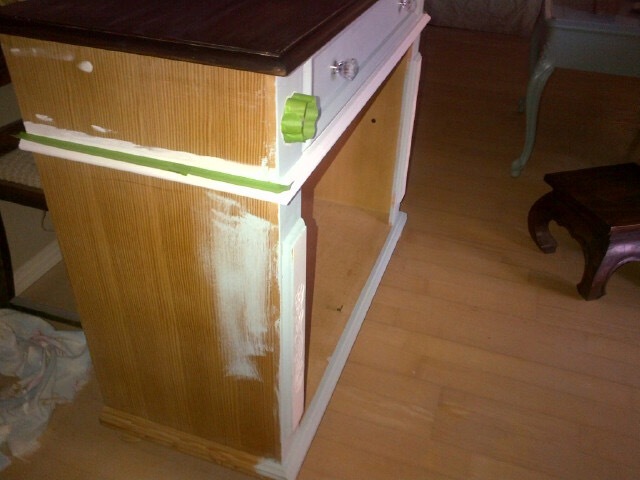 Do you prefer painted wood or do you like it left as is?